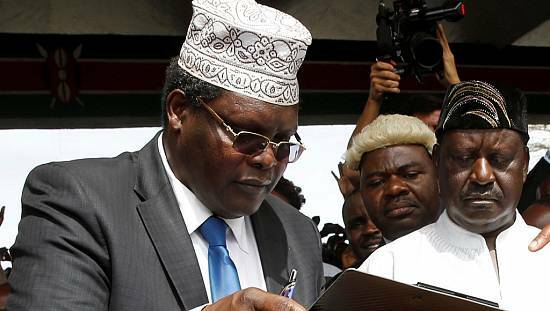 Kenya’s opposition coalition has urged President Uhuru Kenyatta to respect the rule of law and respect the judiciary. Addressing thousands of his supporters in Mathare area in Nairobi, the opposition leader Raila Odinga slammed President Kenyatta saying he doesn’t respect the laid institutions in the country. “Uhuru should respect the rule of law and furthermore he should also respect the will of the people,” Odinga said. “ He should address the nation and the judiciary with decorum,” he added. 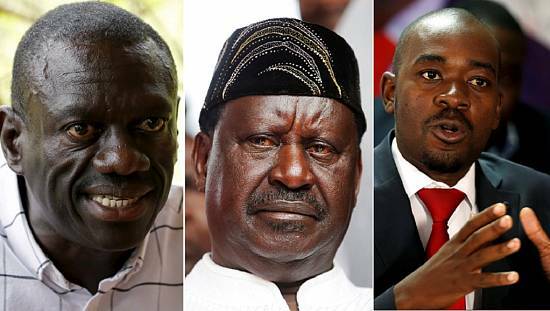 Odinga further faulted the Independent Boundary and Electoral Commission (IEBC) for running a shambolic polls that lead to the cancellation of the entire presidential results. 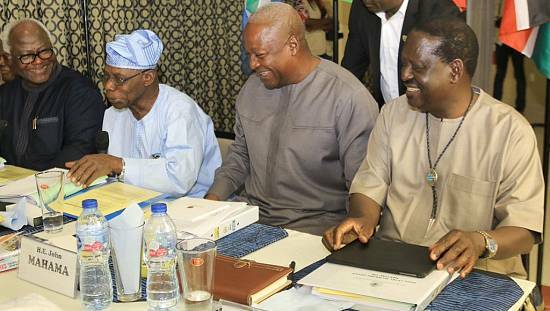 Odinga and other opposition leaders called for the disbandment of a section of the commission. “The IEBC and its secretariat should be disbanded and the Chairman Wafula Chebukati should form a new one,” he said. “They (IEBC) have wasted tax payers money and therefore they need to go,” he added. French multinational Safran was also on spot after being accused of compliance with the IEBC. The opposition vowed to contact the French government to intervene on the laid allegations. The IEBC had appointed the company to provide the necessary technology to power the Kenya Integrated Elections Management System (KIEMS) for the general elections. 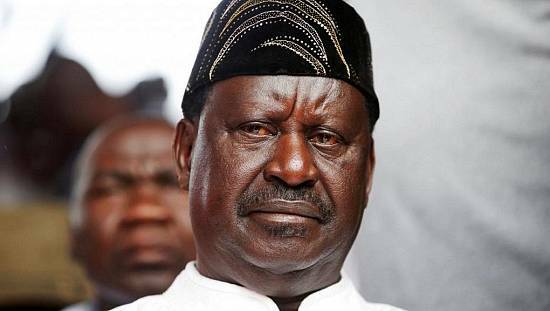 Earlier on, Raila Odinga said that his coalition will not share power, two days after the Supreme Court annulled last month’s presidential election and ordered a new poll within 60 days. “We will not share power,” Odinga, speaking in Kiswahili outside a church in Nairobi, said. “We will not divide the loaf,” a well-known local reference to power. The Supreme Court ruled on Friday that the election board had committed irregularities that rendered the Aug. 8 vote invalid and overturned incumbent President Uhuru Kenyatta’s victory, which had been by a margin of 1.4 million votes. 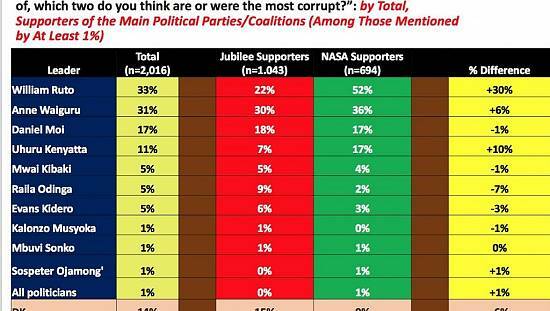 The ruling set up a new race between Kenyatta, 55, and veteran opponent Odinga, 72, and tension between the two camps has since been rising. 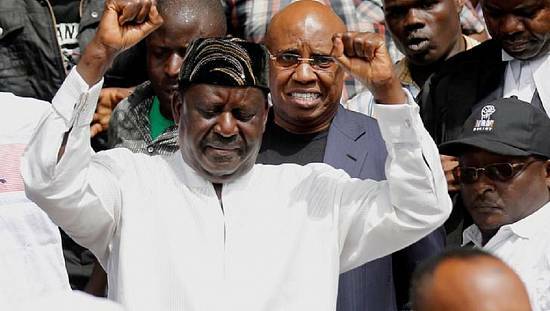 Odinga, who also contested the presidency in 2007 and 2013, repeated his statement after Friday’s court ruling that the opposition would not participate in the re-run of the election without changes to the election commission. On Friday he called for the commission to resign and face criminal prosecution. Kenyatta insists the poll should be re-run with the current electoral board, while the opposition wants the board dismissed. Though Kenyatta pledged to respect the court’s ruling he has, since Friday, referred to justices as “crooks”.